I was in for some local culture immersion so I took a ride down to Peranakan Museum to join its 1 hour tour with their volunteer guide who walked through the highlights of the exhibition that showcases the achievements of 50 men (and women) for past 200 years. Those ladies and gentlemen were instrumental in Singapore's life and culture by contributing to the arts, culture, education, business, governance, and public service. The Peranakans were very successful as traders as they often acted as middlemen between the British and the local Chinese and Malays because being mostly English educated, they were able to bridge the communication gap by speaking two or more languages. It turns out that being linguistic during those early years was advantageous with a fair number of Peranakans gaining wealth through opium, land, gambier, setting up of shipping and banking conglomerates. I will strongly recommend that if you want to head down to the exhibition, you will be able to get the most from the exhibition if you pair the visit with the walking tours. 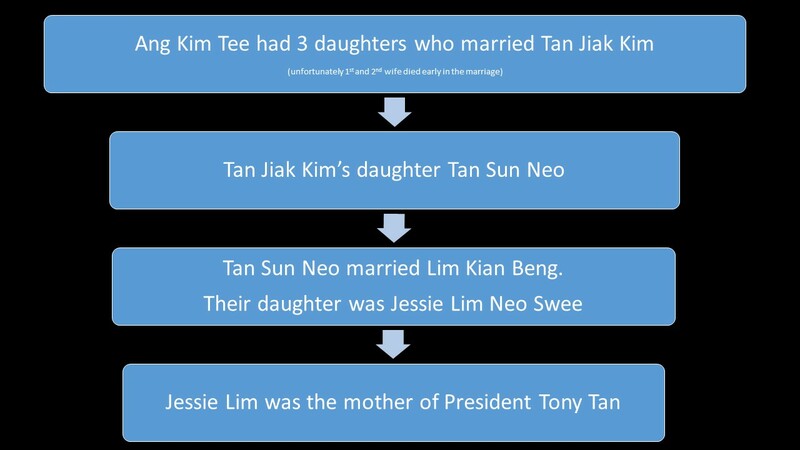 During the tour, I was given very interesting titbits about these greats and their relations for example, I realized that our current President Tony Tan's lineage is way back to his maternal grandmother is the daughter of the notable Peranakan Tan Jiak Kim (http://eresources.nlb.gov.sg/infopedia/articles/SIP_1846_2011-10-13.html?s=tony tan). Tan Jiak Kim's grandfather Tan Kim Seng was also featured as one of the 50 Great Peranakans. He was a prominent merchant and philanthropist in 19th century. There is a Tan Kim Seng Fountain at the Esplanade Park to commemorate Tan Kim Seng's contributions to the first public waterworks in Singapore. He had donated generously towards the construction of MacRitchie Reservoir in the 1860s, one of the 4 main reservoirs of Singapore. Another interesting fact was that 4 out of the 10 cabinet officers in 1965 were Peranakans i.e. Lee Kuan Yee, Toh Chin Chye, Goh Keng Swee and Yong Nuyk Lin.